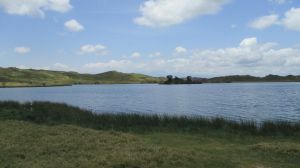 A picnic site that is situated atop a small hill, a short distance west of the Momella lakes. 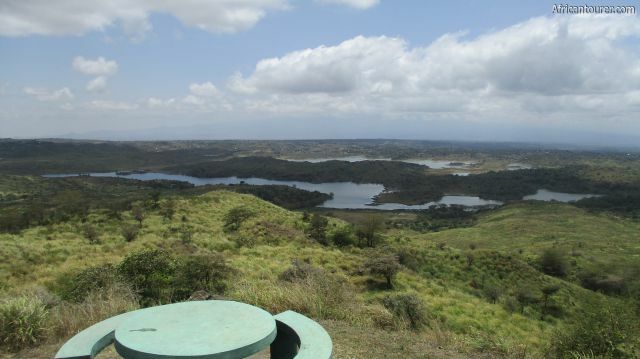 This makes it one of the few places inside Arusha national park where you could get spectacular views of the Momella lakes - far below, as well as mount Meru and Ngurudoto crater. Although hard to spot while one the road, it has a few concrete benches where visitors can sit. It is also a tranquil place, with not much to be heard but the occasional distant sounds of nature. What to do there?Enjoy amazing views of the Momella lakes from a distance, though you may need to have a map or an experienced guide to be able to tell the lakes apart. 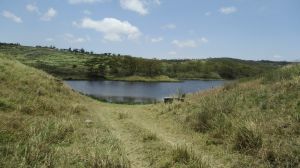 But the possible activities are many - bird watching, picnics or just spend some time here. For a list of other attractions that you could visit in the vicinity, see the section below after map, or the attractions page. Best time to visit ?Any time of the year, with all seasons dirt roads leading right up to its doorstep. 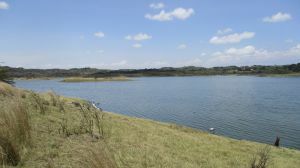 The Momella lakes viewpoint is located in north eastern Arusha national park, near the Momella lakes. 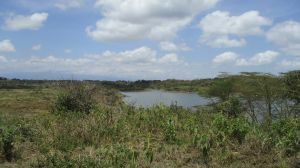 It is also the highest point when compare to its immediate surroundings, mostly grasslands with a few short trees. 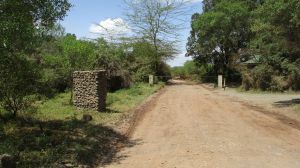 How to get there?By vehicle, about a half hour drive from the Ngurudoto museum, and 45 minutes from the Ngongongare gate. You could use any type of vehicle, though the last bit from the main road may at times prove tough for non 4 x 4’s. 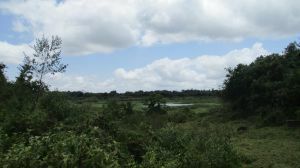 Are you associated with Momella Lakes Viewpoint ? Contact us to improve this page or create another page for your business.